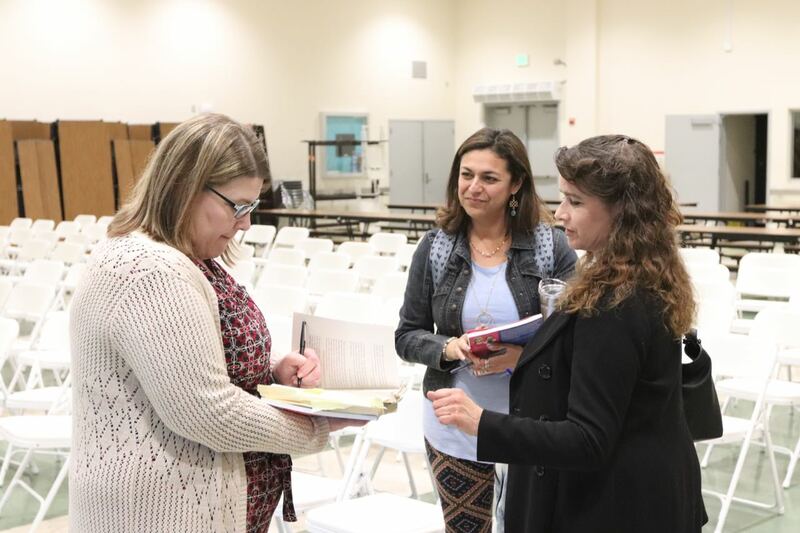 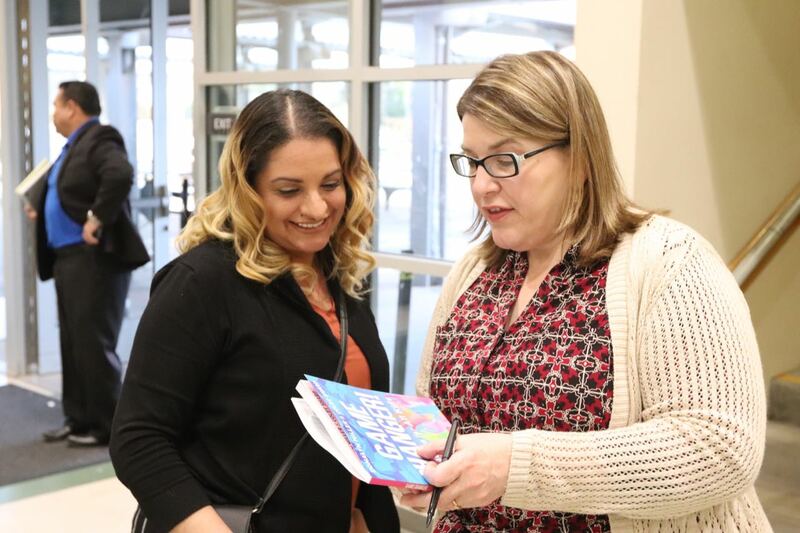 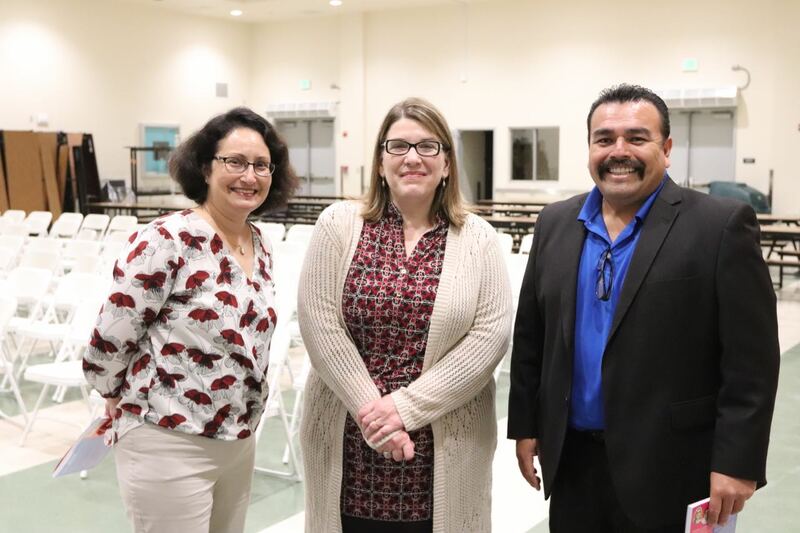 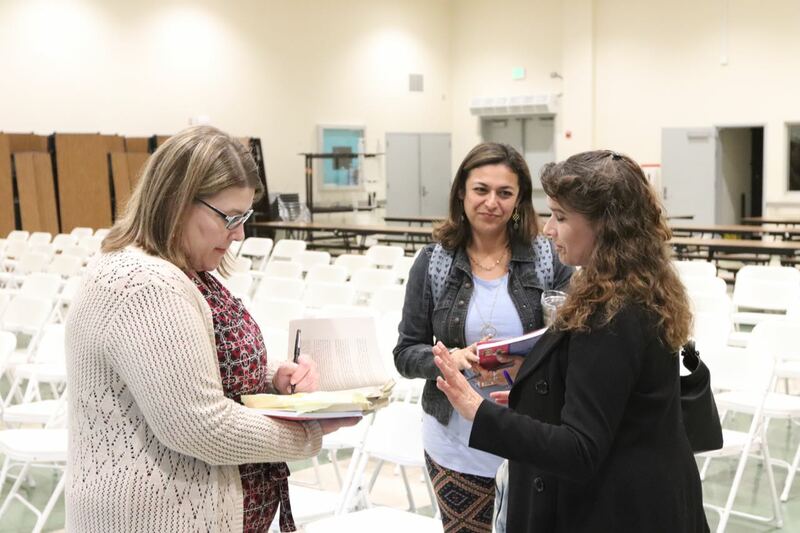 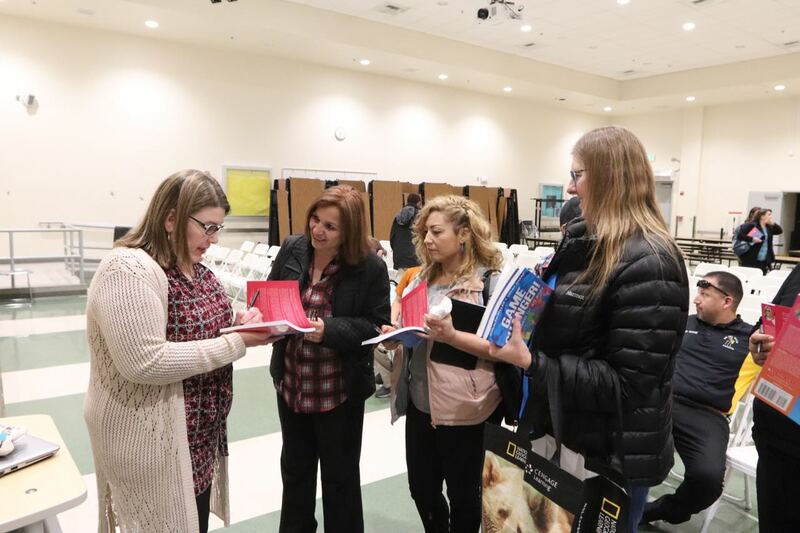 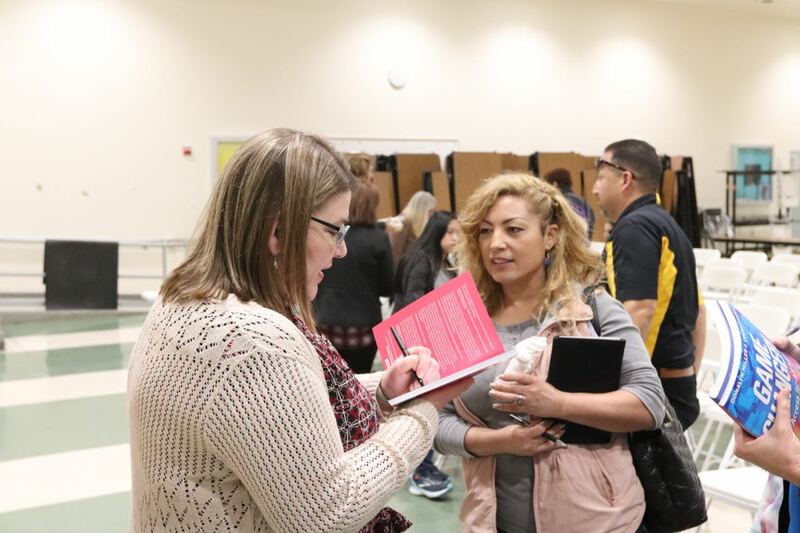 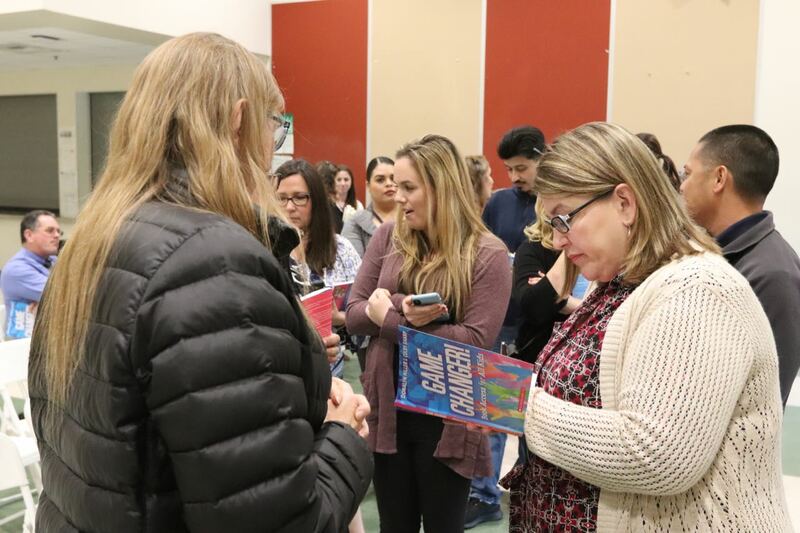 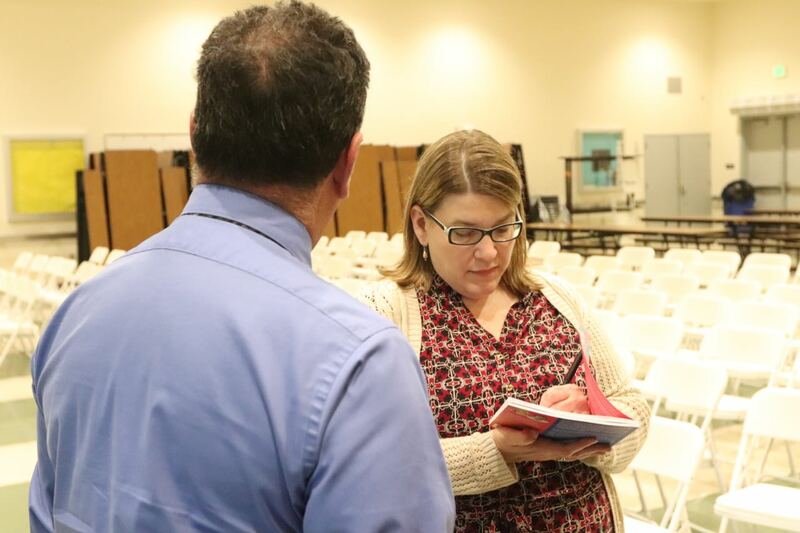 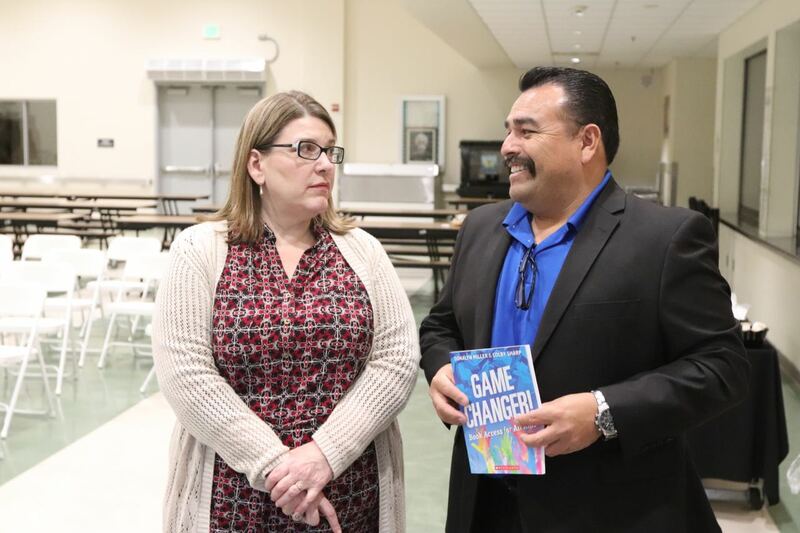 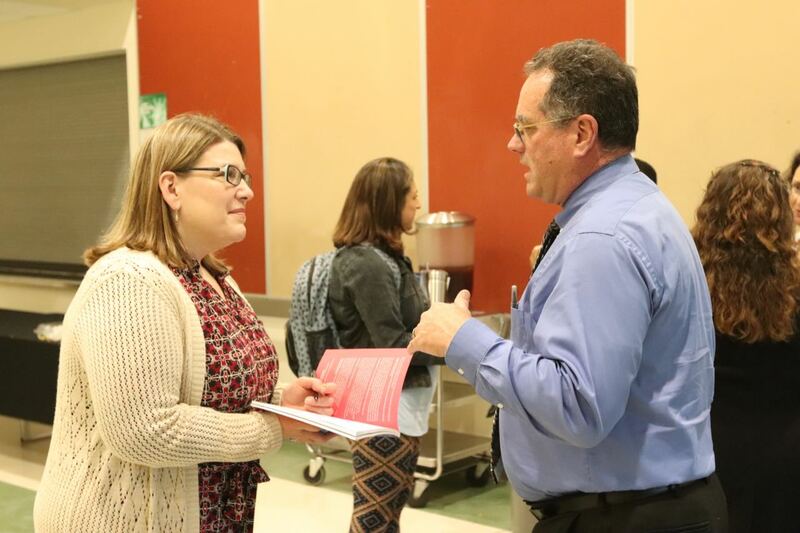 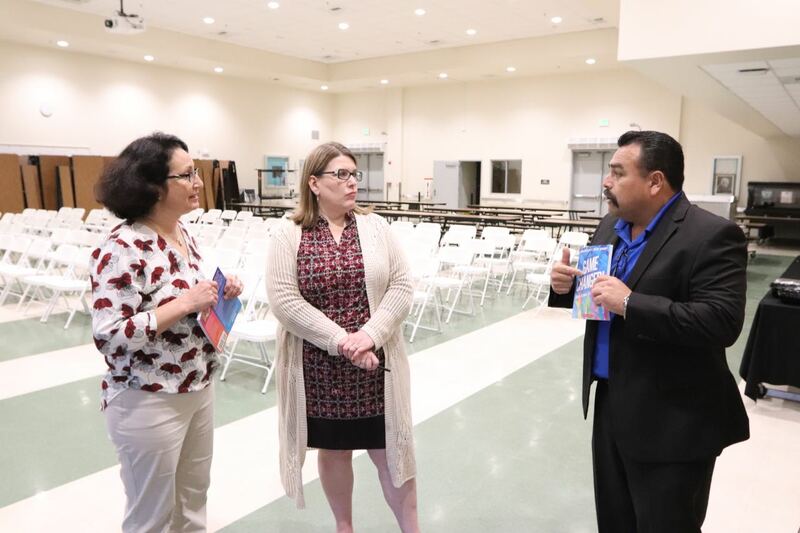 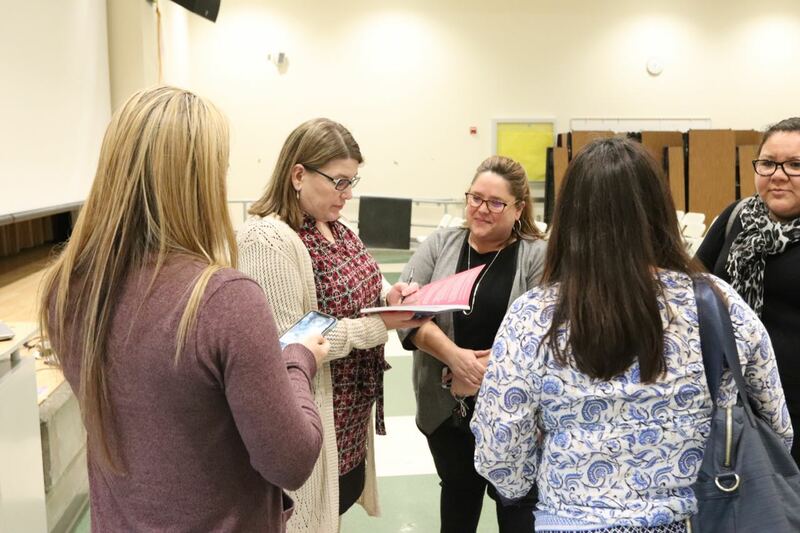 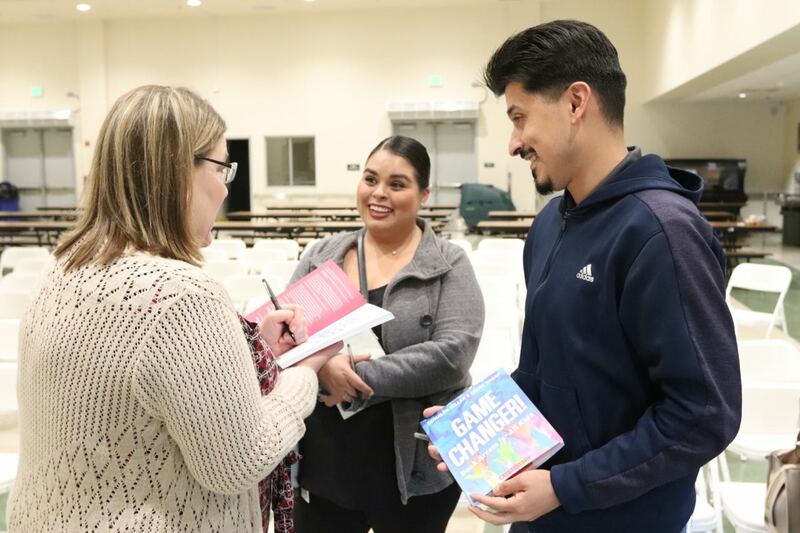 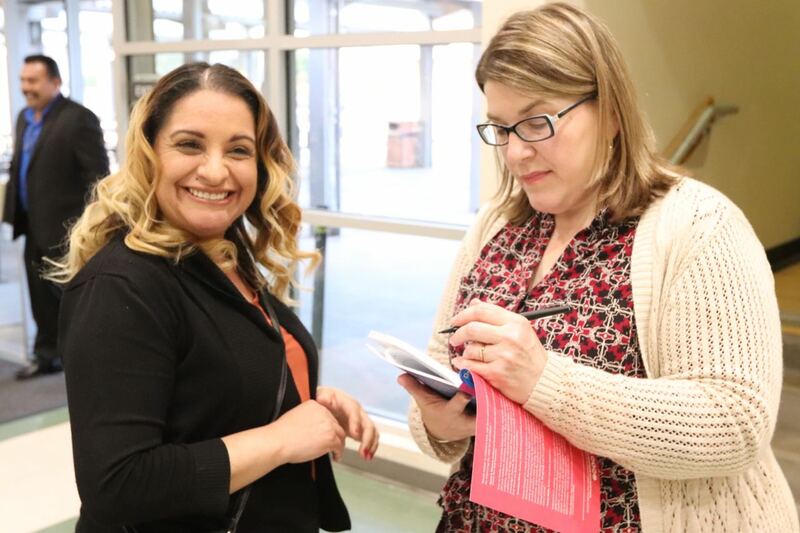 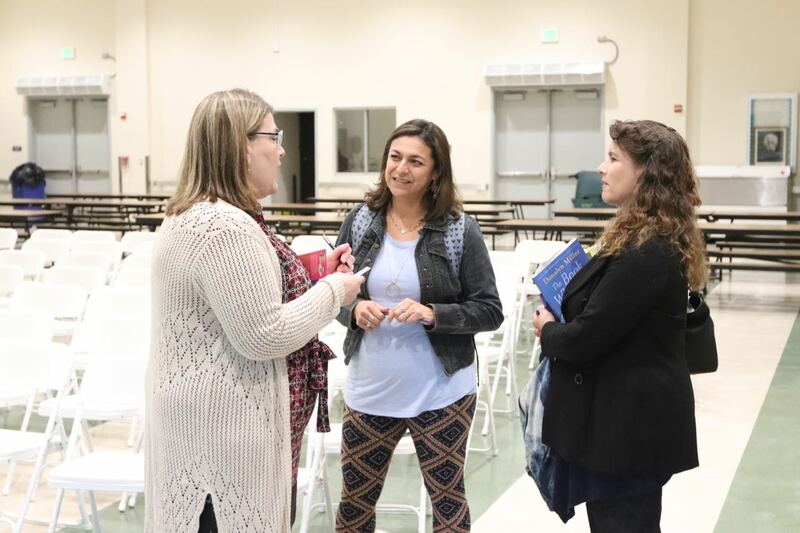 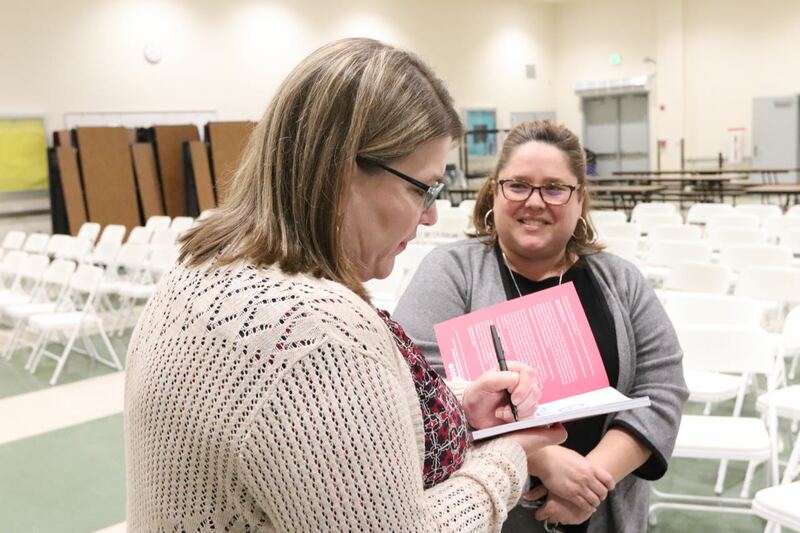 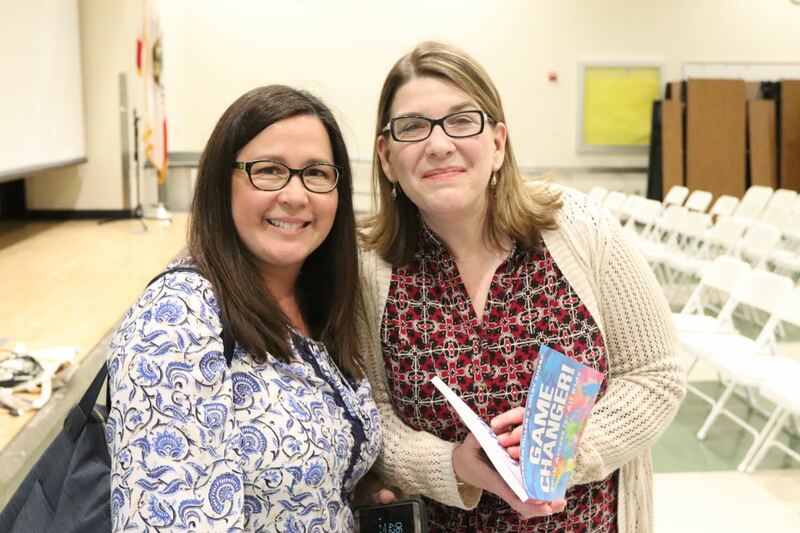 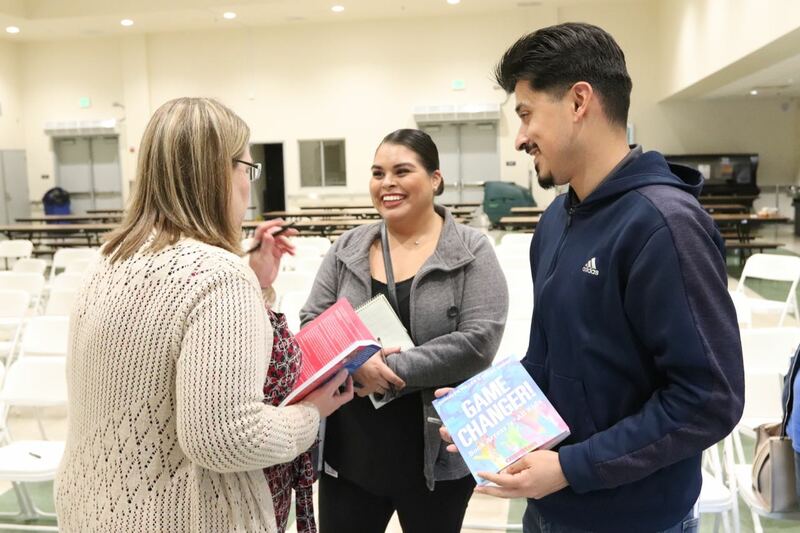 Donalyn Miller an award-winning teacher, author, and staff development leader, she spoke to a room full of Rio School District teachers, parents and administration at Rio Vista Middle School. 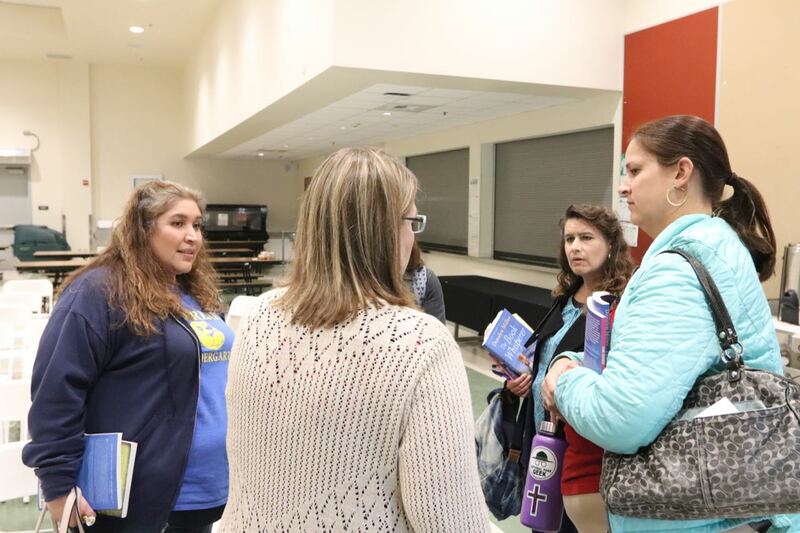 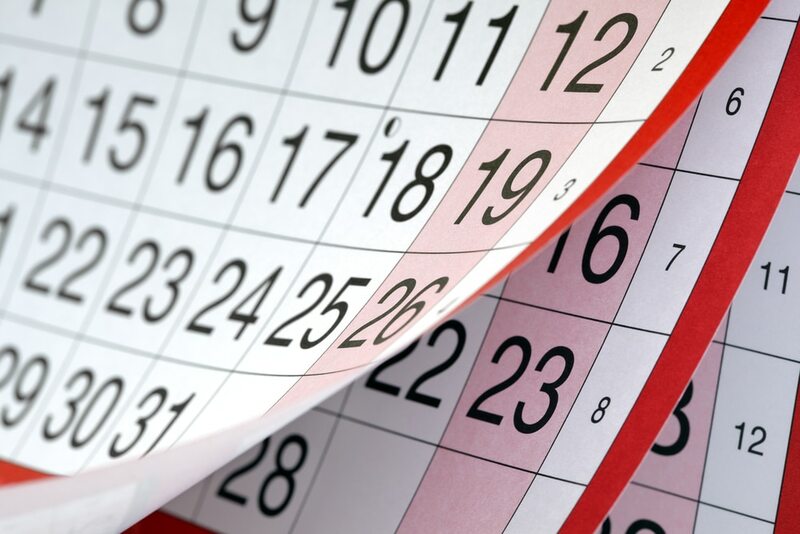 Donalyn has taught fourth, fifth, and sixth grade language arts and social studies in the Fort Worth, Texas area. Donalyn is the author or co-author of several books about creating engaging and inclusive reading communities for all children. 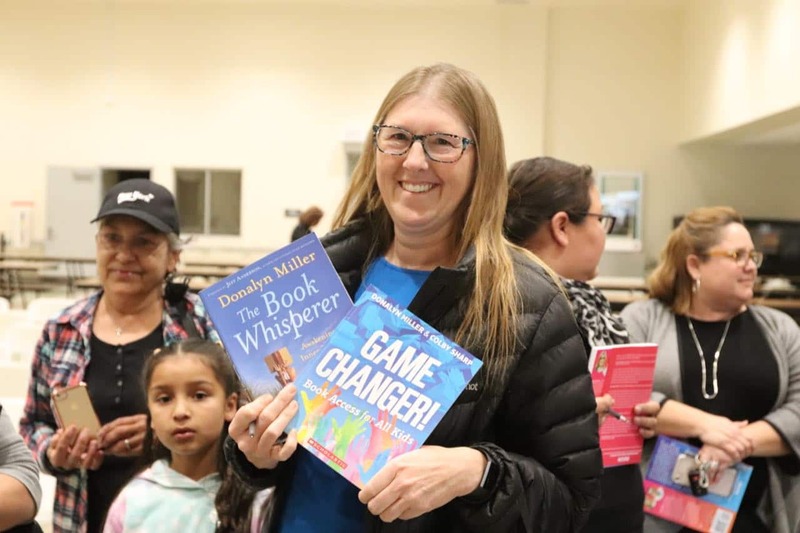 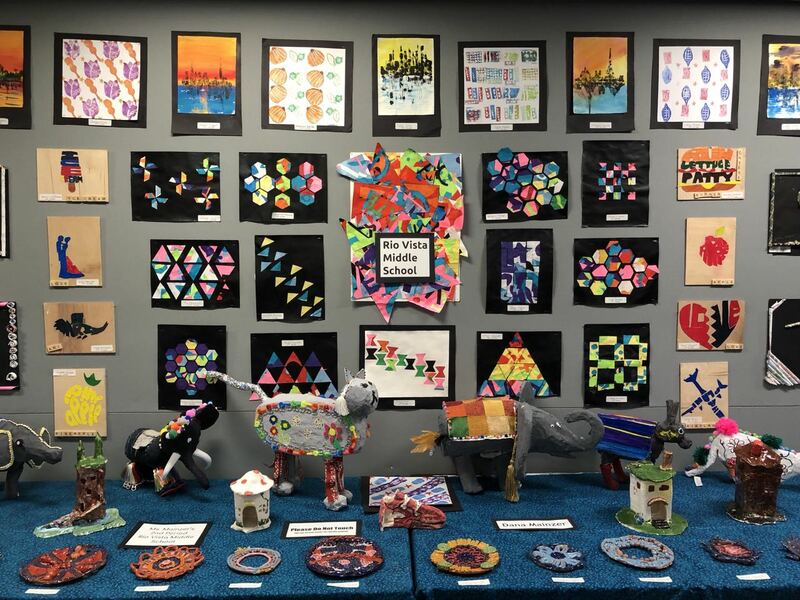 In her first book, The Book Whisperer, Donalyn reflects on her journey to become a reading teacher and describes how she inspires and motivates her middle school students to read 40 or more books a year. 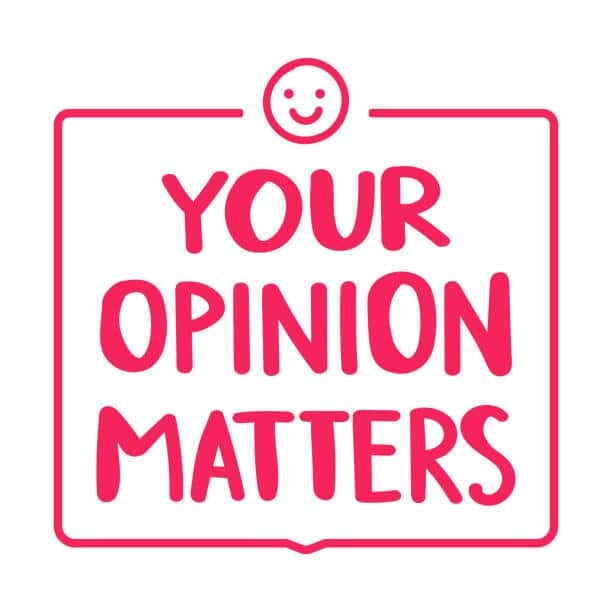 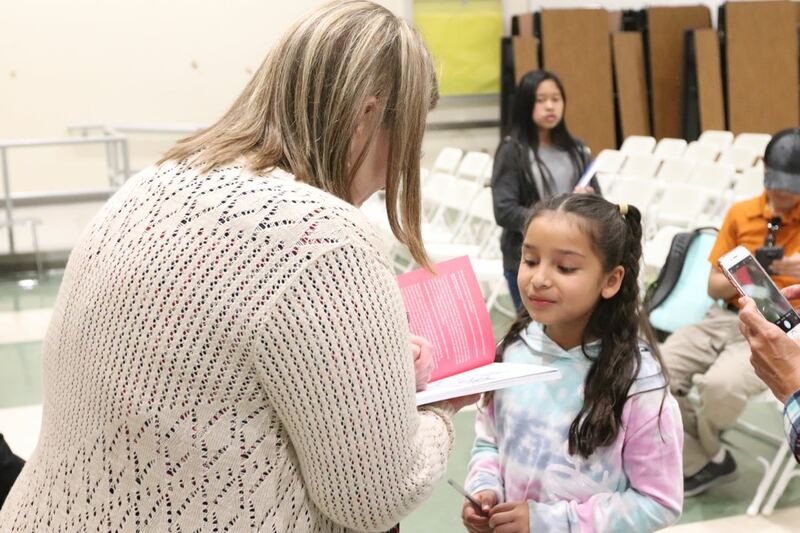 In her second book, Reading in the Wild, Donalyn collected survey responses from over 900 adult readers about their reading habits and used this information to explicitly model and teach lifelong reading habits to her students. 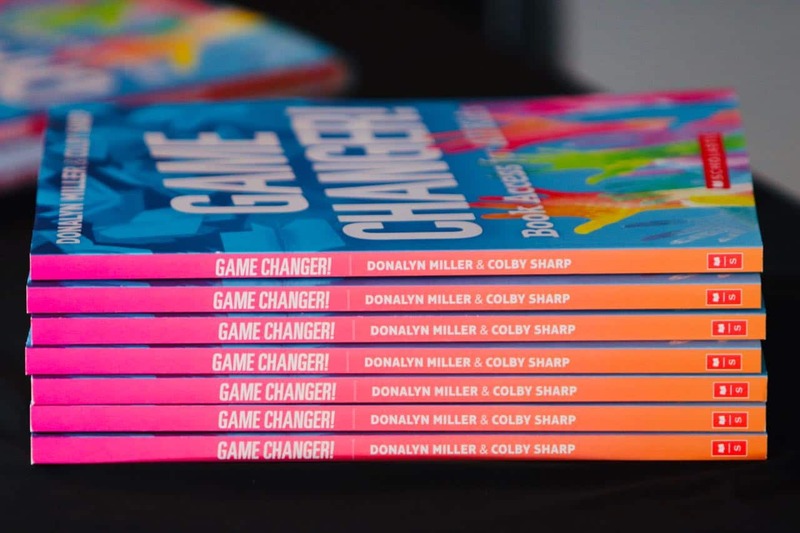 In her third book, Game Changer! 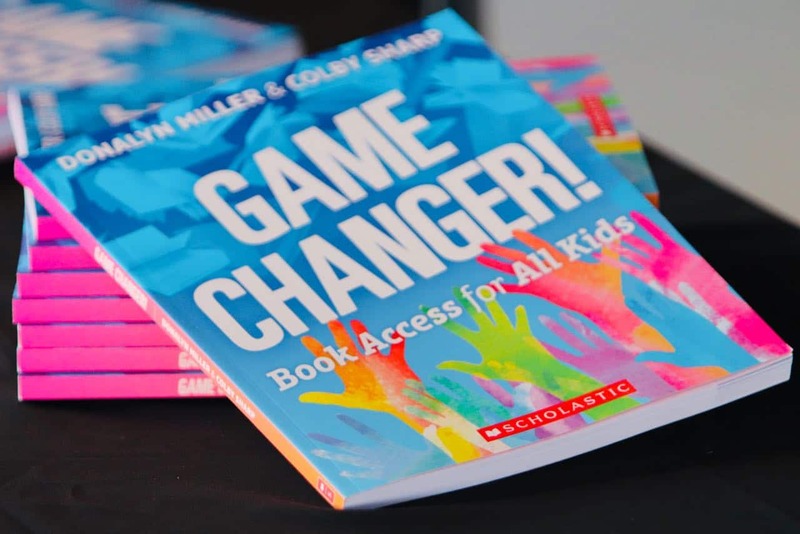 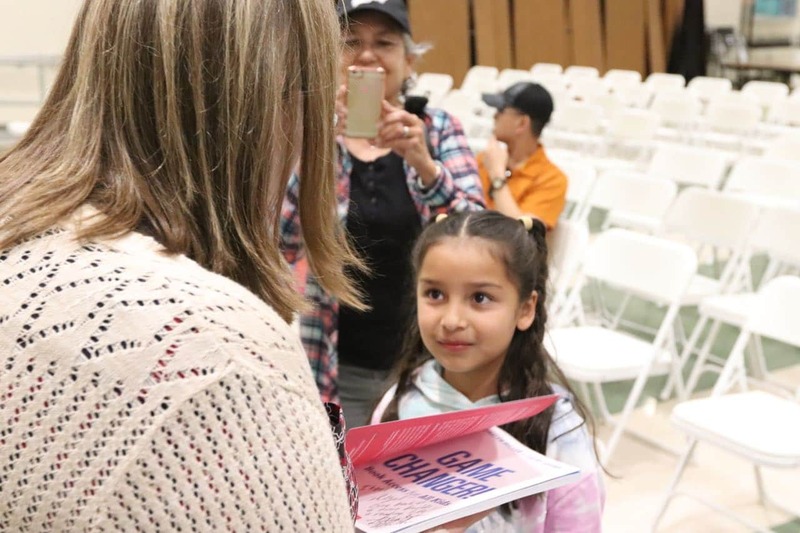 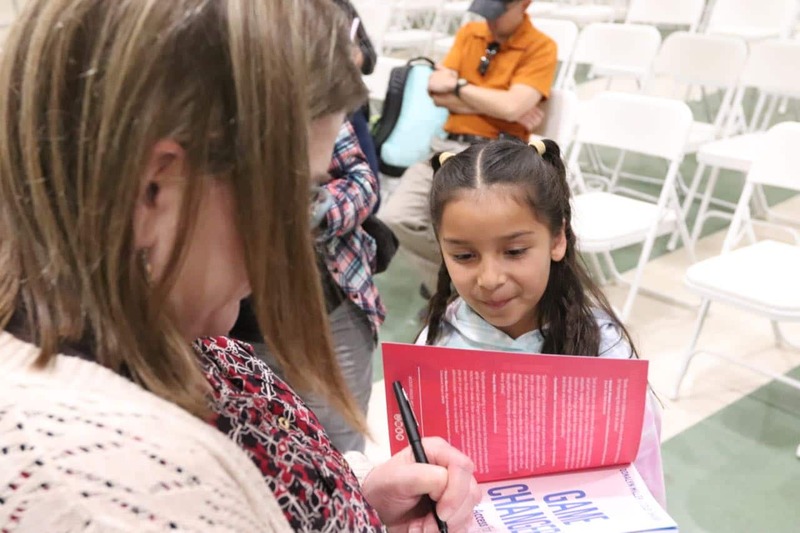 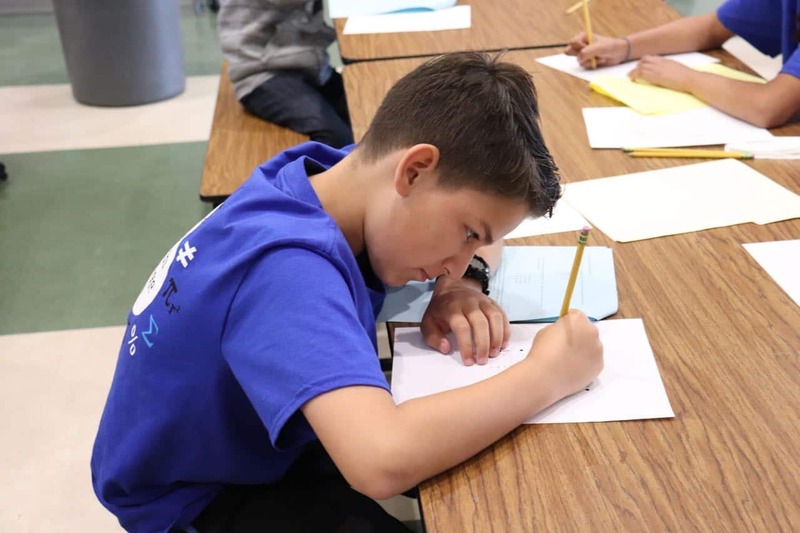 Book Access for All Kids, Donalyn writes about her decades of research that points to the fact that access to books improves children’s ability to read and desire to read. 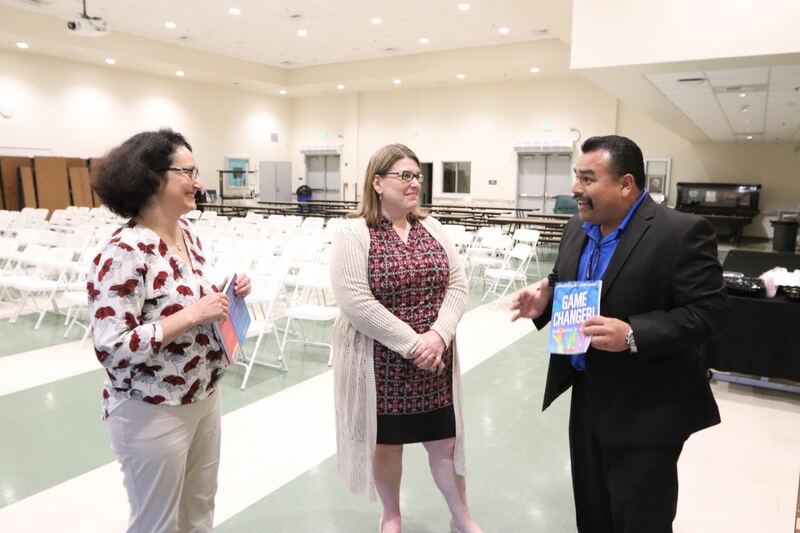 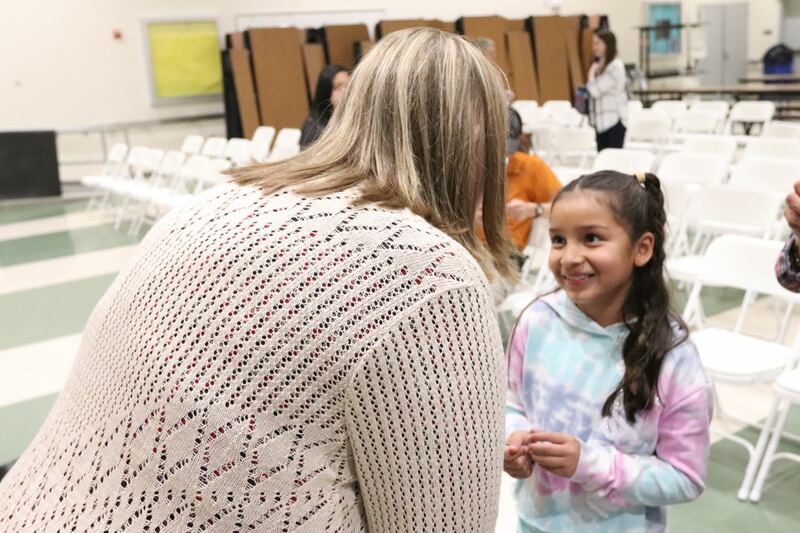 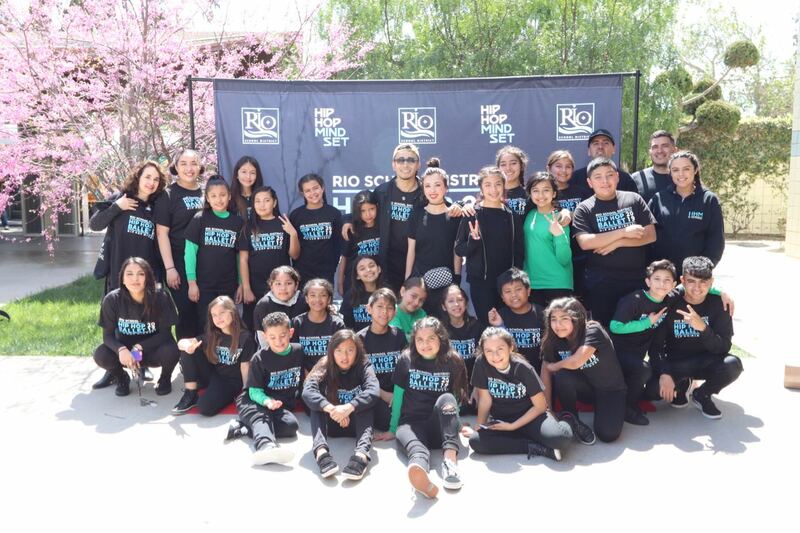 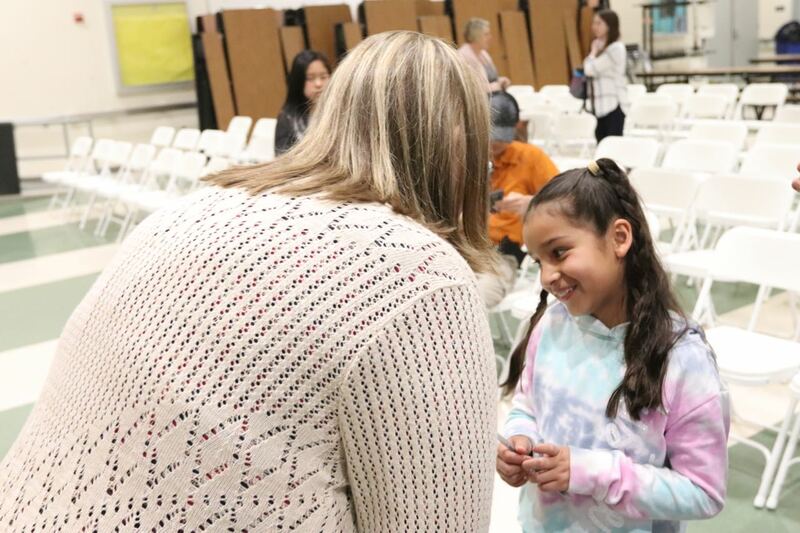 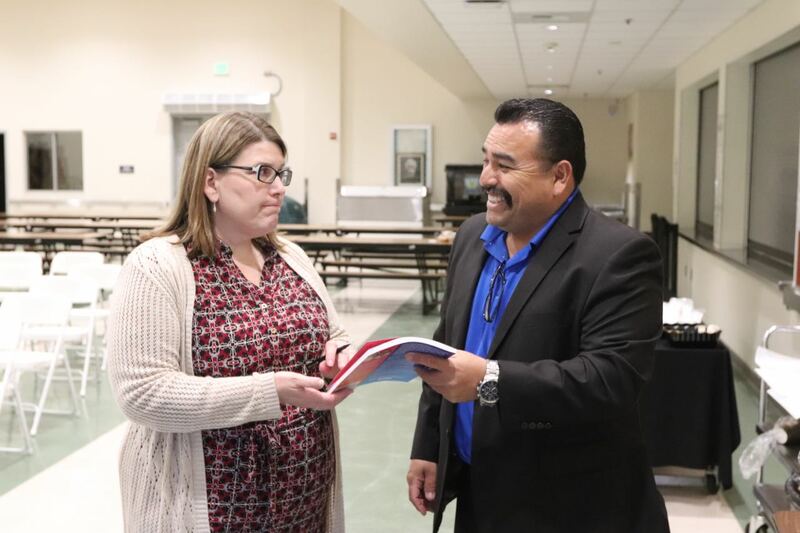 Donalyn’s message was exactly what the Rio School District is all about in teaching Literacy but also inspired new and exciting ideas to build on what Rio does.